NFL Insider Bill Polian and Tedy Bruschi explain how QB Sam Bradford fits into the Eagles' offense and discuss Bradford's durability concerns. 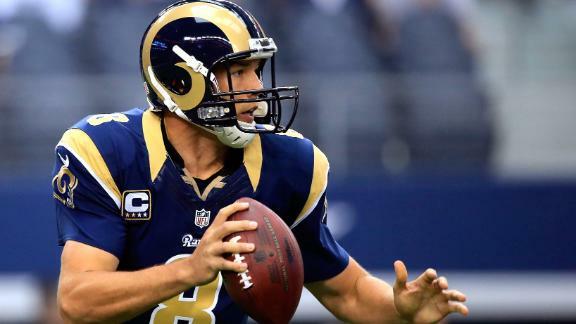 Adam Schefter breaks down the Rams' trade of QB Sam Bradford to the Eagles for QB Nick Foles. Why Did The Eagles Trade For Bradford? John Clayton breaks down why the Eagles decided to trade QB Nick Foles to the Rams for QB Sam Bradford.